If there were just one word to describe the Similda, it would have to be versatile. 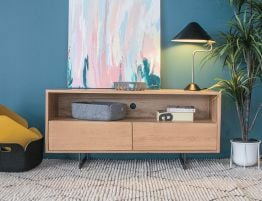 The Similda, designed by Italian Eugenia Minerva and manufactured by European furniture leader TON, marries functionality and style effortlessly. This glass top designer dining table can be a child’s art workstation one afternoon and then set the tableaux for a posh dinner party that same evening. 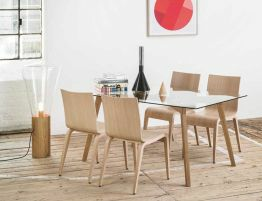 The Similda dining table, manufactured by TON, is featured here in natural solid oak with a tempered glass table top. Designer Eugenia Minerva spent time designing for yachts in her early career and its influence is apparent in the forms she favours. The Similda offers clean lines, a simple form but with a dynamic edge that almost suggests movement. Minerva’s work, like so many other beautiful things that begin in Italy, offers a mix of warm and cold, a juxtaposition of clean, almost stark lines and soft, natural materials. 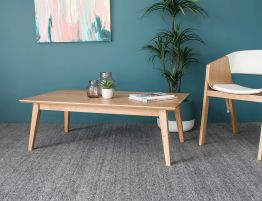 In the Similda this is seen in the perfection of the smooth, expanisve tempered glass table top balanced with the warm, naturally grained solid oak. This standout designer dining table hails from the place where production of handmade bentwood furniture started 150 years ago. Our original TON modern designer dining tables come direct from TON CZ - Michaela Thoneta, the Czech factory that continues the legacy of Thonet. 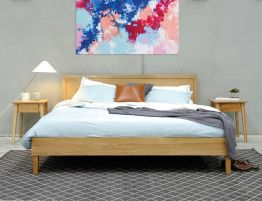 TON is known for bringing unique works by established European designers to modern furniture lovers everywhere and Relax House is proud to be Australia’s exclusive distributor of the fantastic furniture pieces offered by TON. 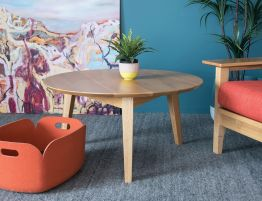 The genuine designer TON Similda dining table, crafted by Italian designer Eugenia Minerva, is a legacy piece that will be a smart addition to your design space. 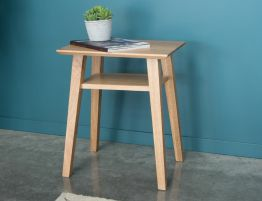 Our must have style dining table features a length of 160cm and a width of 90cm and offers legs and base made from solid, European Oak and crafted in the Czech republic where quality wood furniture has been created for over 100 years. 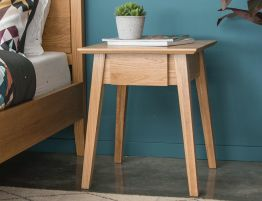 The Similda’s table top is constructed from a single piece of tempered glass making this as easy to care for as it is stylish. This glass dining table is also available in Walnut and Wenge finished bases/legs both in solid wood.